Couple of title changes to go through, results and recaps from various promotions across Japan. All Japan Pro Wrestling: On the 19.03, All Japan held Day 6 of the Dream Power Series in Korakuen Hall in front of a crowd of 1,615. 3 of the titles were up for grabs. Kotaro Suzuki was unsuccessful in his attempt to win the World Junior Heavyweight Championship, against reigning champion Koji Iwamoto. Big Japan’s Strong BJ were recently challenged by Violence Giants to a rematch for the World Tag Team Championships, after the All Japan duo appeared at Big Japan show, Ishikawa & Suwama were successful in their attempt to win back the titles they lost back in January at Sekimoto’s anniversary show. Kento Miyahara successfully defended the Triple Crown Heavyweight Championship against former NEXTREAM stablemate, Naoya Nomura. 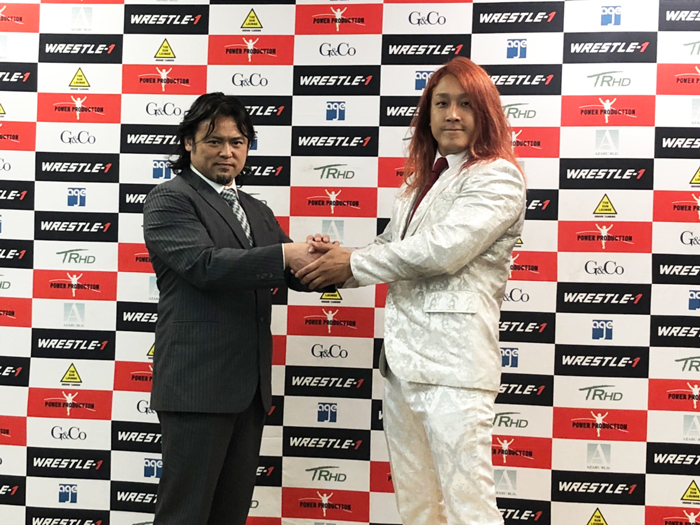 On the 21.03, in Nagoya, a day tournament was held for the vacant All Asia Tag Team Championships, which were vacated when Naoya Nomura split from NEXTREAM. The titles were won by Sweeper duo, Jake Lee & Koji Iwamoto. They beat Big Japan’s Okami, Daichi Hashimoto & Hideyoshi Kamitani in the final. Dragon Gate: Dragon Gate held Memorial Gate on the 21st in Wakayama, this show was not aired on the Network and as of yet, I am unsure of how to view it. There were a couple of significant matches that took place, the MochiDojo representative for the Dead or Alive cage match will be Shun Skywalker, MaxiMuM failed once again in their attempt to beat R.E.D for the Open the Triangle Gate. Susumu Yokosuka defeated Dragon Kid to become the 37th Open the Brave Gate Champion. 3 of the 5 representatives have been chosen, Kzy for Natural Vibes, YAMATO for Tribe Vanguard and Shun Skywalker for MochiDojo. The April 10th Korakuen show will decide both the R.E.D and MaxiMuM representative, as well as an Aagan Issou reunion, Yosuke Santa Maria’s return from injury and the debut of Strong Machine Corps! Dramatic Dream Team: A couple of title changes at DDT Into The Fight 2019, Daisuke Sasaki & Soma Takao are the new tag team champions, Meiko Satomura, Chihiro Hashimoto & DASH Chisako are the new KO-D 6 Man Champions. New Japan: Kazuchika Okada has won the New Japan Cup 2019. He will face Jay White at MSG. The tournament will run from 6th April to the 4th of May. Wrestle-1: Following the Wrestle Wars show, it has been announced the Jiro ‘Ikemen’ Kuroshio has announced his resignation from W1, along with Hana Kimura. Ikemen recently failed at the Wrestle Wars show to bring back the W1 Championship to W1 from the Strong Hearts invaders. He has stated that he’d like to work overseas, particularly America. With thanks to PuroLove, IheartDG, Hisame and CageMatch.